Well, it finally happened. It’s not like we didn’t see this coming months off. It’s not like we weren’t warned well in advance. But still, now that it’s come to pass, I just can’t help but feeling like we’ve lost something very precious to our collective, moviegoing culture. 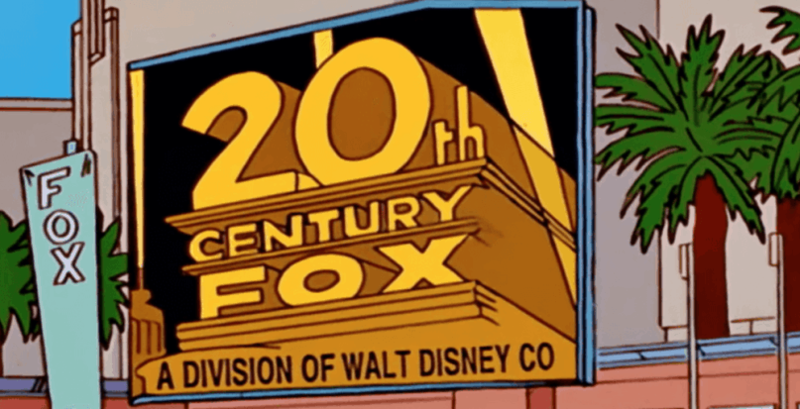 At long last, the Disney-Fox buyout has been officially approve. All the T’s have been crossed. All the I’s have been dotted. The ink is dry on all the papers. And 20th Century Fox, after nearly one hundred years of producing some of the finest works of art the silver screen has ever seen, is dead. The obvious surface-level takeaway on this juggernaut merger of these two entertainment giants is that Marvel Studios finally has all of its extant properties back under its in-house control. With it come both the Fantastic Four and the X-Men brands, which will doubtless further Marvel’s lead in the superhero blockbuster game. This goes double for the fact that Marvel’s finally seemed to have sorted out whatever copyright limbo Namor the Sub-Mariner has been in for the past few decades. And, yes, I absolutely can’t wait to watch something like World War Hulk on the big screen or Rogue absorbing Captain Marvel’s superpowers or the Guardians of the Galaxy crossing paths with the Starjammers. I’m positively frothing at the mouth to see how they’re planning on introducing the Fantastic Four into the MCU or which mutants get to sign up as Avengers. I’m keeping my eyes peeled on the first little Easter eggs they drop into one of their upcoming releases and can’t wait to see just how quickly they can force a new movie starring one of these gangbuster properties through the production pipeline.